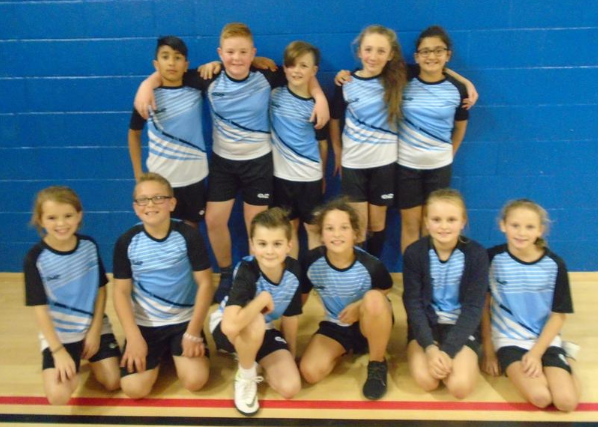 On Monday 12th November 2018, 12 children from Year 5 and Year 6 competed in an Indoor Athletics Competition against three other schools at Lipson Co-operative Academy. The children were delighted to come joint second and bring home a silver medal each. Jack said 'I really enjoyed this event, the chest pass was my favourite activity'. We are so proud of all the children's efforts! Here is a picture of the children with their medals! “Our 6th Indoor Athletics heat took place at Lipson secondary school. 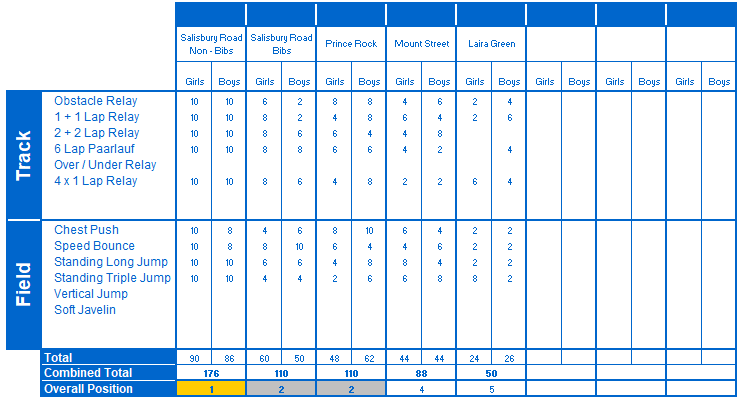 We had 4 schools attend who were Salisbury Road, Prince Rock, Laira Green and Mount Street. Each school brought one team, however Salisbury Road brought two teams. As always, the girls were first up to the track competing in the 1+1 and 6 lap parlauf relays. In which, they set some really fast times. Meanwhile the boys were trying to score valuable points in the long and triple jump.Next up to the track was the boys who competed in some very competitive races. Whilst it was the girls turn to try and earn valuable points in the long and triple jump. After a quick change, the girls were back on the track to compete in the 2+2 and 4x1 relays. The changeovers were very impressive, which helped them achieve some really fast times. Whist the girls were on the track, the boys were back on the field events to take part in chest push and speed bounce. Then the boys competed in the 2+2 and the 4x1 relays. Whilst the girls had their chance to earn points in the chest push and speed bounce. After another quick change over, it was time for the obstacle race. This race had a possibility to pick up some unwanted penalty points. The final results table all came down to this as a few penalty points could have determined your final position in the results table. A massive well done to all who competed, you all showed amazing effort and determination in all the events. A huge thank you to the sports leaders from Lipson and Marjon students for all their help in making sure the event ran smoothly.